Mould Tartaruga is our professional mould for turtle bread, the classic tortoise-shaped loaf, ideal to accompany all dishes, both with meals and snacks, stuffed. Bread mould with friable crust and soft crumb. 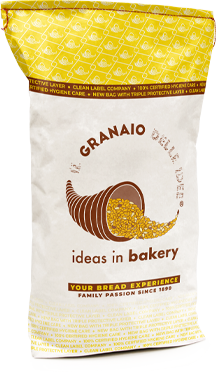 Perfect for bread made from Nucleo® Tartavena, our special blend for making a turtle enriched with corn and oat flakes.